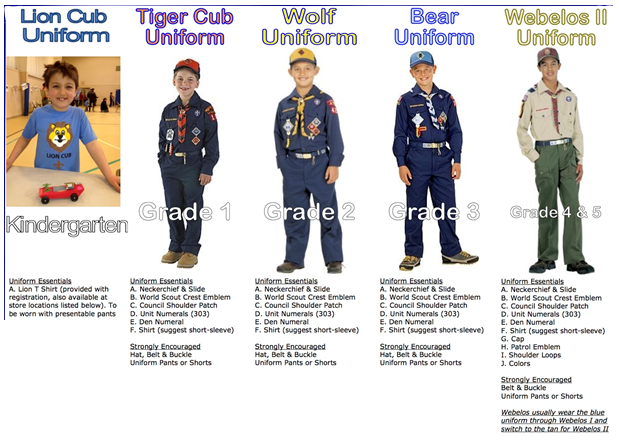 All Scouts should wear their Class A uniform to all den meetings, pack meetings and all other pack functions unless otherwise indicated in the details for that function. Uniforms should be neat and clean. The shirt should always be tucked in. A Cub Scout should never seem "messy".